Islamabad: Multiple protests were staged by rights groups and political activists across Diamer district against the local administration which was accused of turning a blind eye to extremist outfits in the region. Meanwhile, a security operation remained underway all day on Friday against perpetrators of the attacks on 12 government schools, including two run by the armed forces, in the Chilas region of Diamer district. On Thursday night, unknown assailants had blown up three government schools using explosives and set another nine on fire. Most of these schools were for girls only. 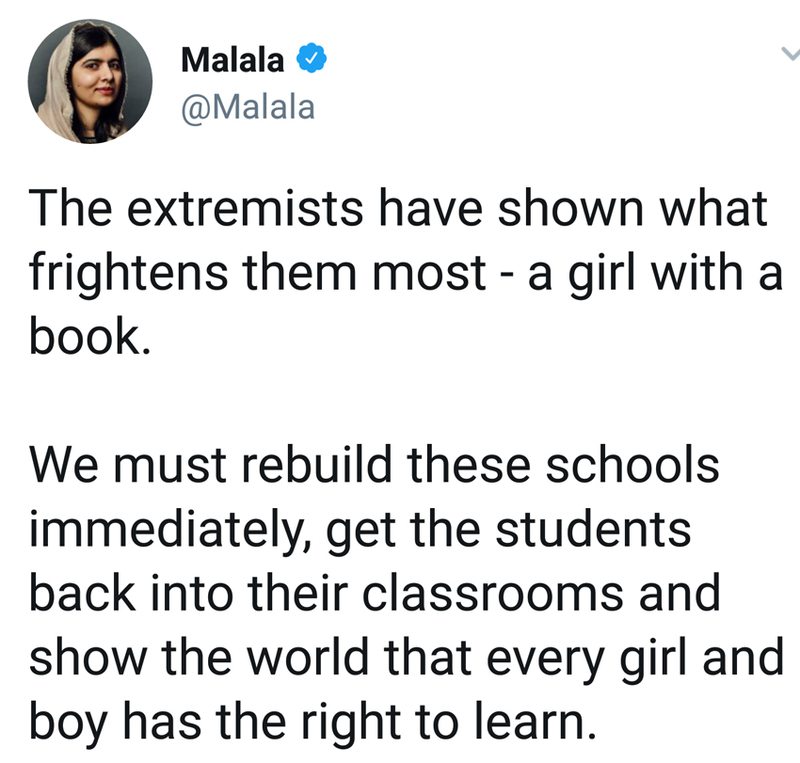 No casualties were reported in the attacks that appeared to have been orchestrated by extremists opposed to women’s education. A press release issued by the local administration stated that the assailants had fled the scene by the team security and law enforcement forces got there. Speaking to Daily Times on telephone, Faizullah Firaq, the spokesperson for the Gilgit-Baltistan administration, said the attack was well planned and attackers were well-equipped. 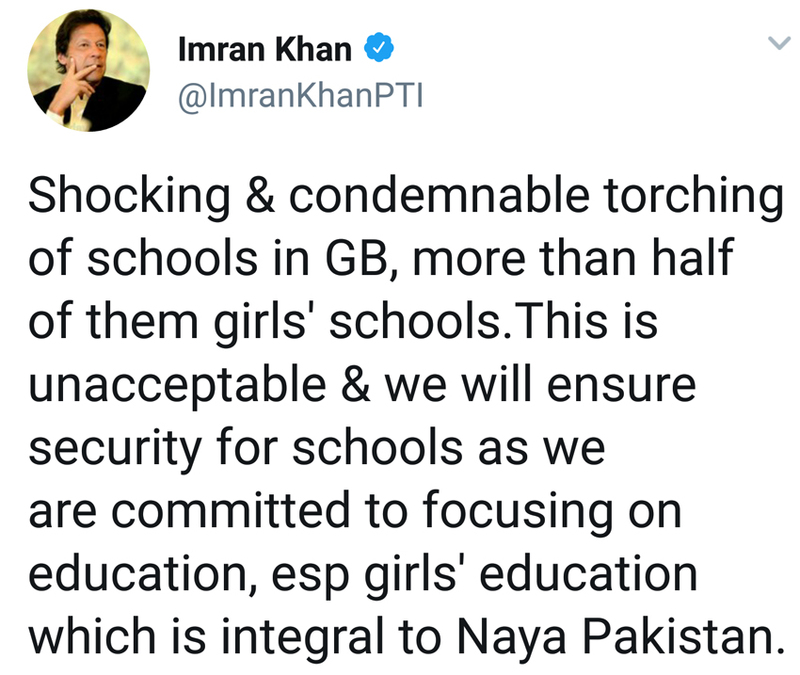 He categorically denied the existence of any local support for the extremist mindset opposed to women’s education.Instead, he said that the incident was part of an international conspiracy, whereby foreign powers were using the local youth to create unrest in the Valley. However, he admitted that banned outfits were operational in the area but insisted that since the placement of these outfits on the Schedule IV of the Interior Ministry, no violence had been reported in the district for several years, until the Thursday night attack. Speaking to a local TV channel, Diamer Commissioner Abdul Waheed Shah denied the existence of any organised militant network in the GB region, while admitting that there extremist elements opposed to women’s education. He said strict action would be ensured against those responsible for the attack. 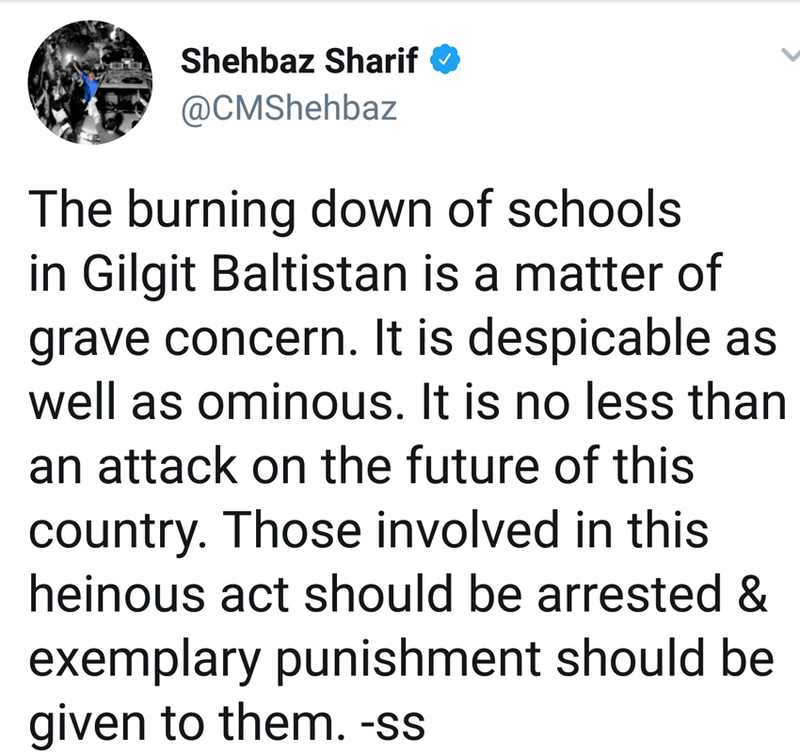 On the other hand, locals insisted that the lack of action against those responsible for previous incidents of terrorism in the district had enabled the extremists to keep a foothold in the region. A local journalist who identified himself as just Asad told Daily Times that no arrests were made after terrorist attacks of 2004 and 2011. He said extremists were active in the area and the government had yet to take action agaisnt them. A local social worker who preferred annonymity for his security said that exhortations to the faithful to not send their girl children to schools were a common occurance in Friday sermons across the region. This freedom to the extremists to peddle their worldview had promoted conservative social attitudes in the region, he said, adding that construction of new schools was taken in many parts of the district as a threat to the local culture. On the placement of outfits on the Schedule 4, he maintained that even if the heads of these outfits were constrained, their message had currency and their activists were able to roam freely. Separately, Senate Standing Committee on Interior chairman Rehman Malik took notice of the attack and demanded a detailed report from the GB chief secretary. 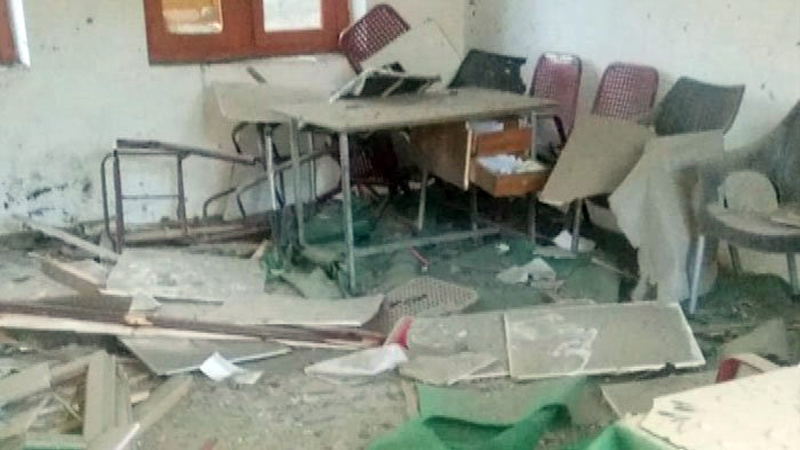 Gilgit-Baltistan’s has a history of militant attacks. In 2012, unknown assailants had dragged out 10 commuters from passenger buses in Chilas and killed them. Six buses were set alight in the incident on Shahrah-e-Karakoram. The SP Diamer was also shot and injured in a clash with miscreants. In 2013, several international tourists from Ukraine and China were targetted in an attack claimed by the banned Tehrik-e-Taliban Pakistan (TTP). A colonel of the Pakistan Army and two other security personnel lost their lives in an operation carried out afterwards. Published in Daily Times, August 4th 2018.